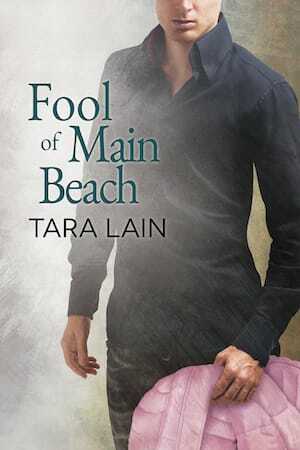 Tara has created a beautiful love story between two fantastic men who love each other and fight to be together. One of my favorite elements that has become Tara’s trademark is breaking down stereotypes. Instead of giving Braden all the power and expertise because he is older, she gave Ian, the younger of the two, wisdom beyond his years and more sexual experience. Fans of the series will love this sequel and will enjoy visiting with Jim, Ken, Billy and Shaz. Thanks, Tara, for a memorable tale that reminds us that every journey, no matter how long, begins with that first step. I finished this book with a happy smile on my face. What a relief! Along with Billy and Shaz’s book, this one has become my favorite in the series. I’m telling you, there’s not a dull moment to be found! And if you’re a fan of pets in your stories, like I am, you’re going to love Anderson, the cat with enough personality to steal your heart. Anderson almost feels like one of the main characters with the way he dictates a substantial part of this story. Great addition to this series, I’m wondering what’s coming next! So – this is a bit more than a May/December story. It’s a Boss/Employee story, an OFY story, a Newly Gay story, a Single Dad story, a Rebound Lover story, a Friends With Benefits turns Serious love story… so many things! Lord of a Thousand Steps is a story that will steal your heart and refuse to return it. The characters alone are somewhat unpredictable, but mostly so endearing it sometimes hurts. It’s truly and awesome read! I was captured early on, held captive throughout the siege and only released when the fight for love was finally won and what a sweet victory it was, I loved it. 5* from me, anything else would be a travesty of justice, she nailed it in true Lain style. Available at Audible and Amazon.